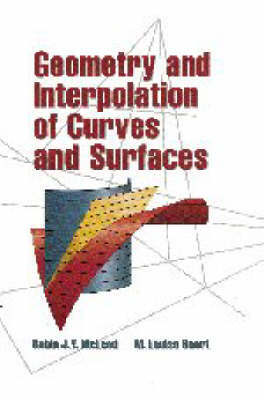 This text takes a practical, step-by-step approach to algebraic curves and surface interpolation motivated by the understanding of the many practical applications in engineering analysis, approximation, and curve plotting problems. Because of its usefulness for computing, the algebraic approach is the main theme, but a brief discussion of the synthetic approach is also presented as a way of gaining additional insight before proceeding with the algebraic manipulation. The authors start with simple interpolation, including splines, and extend this in an intuitive fashion to the production of conic sections. They then introduce projective co-ordinates as tools for dealing with higher order curves and singular points. They present many applications and concrete examples, including parabolic interpolation, geometric approximation, and the numerical solution of trajectory problems. In the final chapter they apply the basic theory to the construction of finite element basis functions and surface interpolants over non-regular shapes.